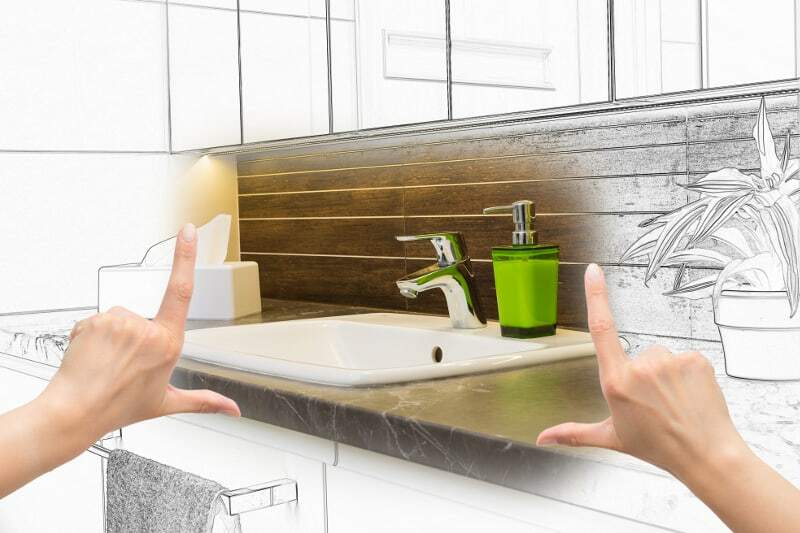 Why do you want to remodel your bathroom? Is it to modernize the functionality, or to update the style or color of your bathroom? Who is this bathroom for – you or your kids? Whether you choose classic or contemporary, mid-century modern or Bohemian chic, the style of your bathroom should fit your lifestyle. Perhaps you possess a fast-paced lifestyle, where all you need is a quick shower in the morning, or maybe you would love to soak in a Jacuzzi tub before going to sleep. Either way, the type of a bathroom you have in your home reflects your aesthetic taste and lifestyle. So, take some time to determine the style you would want and make sure it flows with the style of the rest of the house. As a home improvement project, bathroom remodeling provides you some of the highest resale value returns. However, it’s not simple and cheap by any means, and it can take a good amount of time to complete (depending on what changes you want to have). That is why it is important to gather and plan your bathroom remodeling project ahead of time. Some of the items you may want to change in your bathroom are cabinets, countertops, flooring, lighting fixtures, shower, bathtub, sink and toilet. Don’t just include all items because you get fascinated by them. Installing these items is a good idea if you are building a whole new bathroom from scratch. Otherwise, you can have your cabinets, countertops, porcelain and tile refinished to make them look brand new for less money. It’s good if you get home décor magazines or bathroom design ideas on the web. Setting realistic expectations, cost estimates and questions based on the experience, resources, or guarantee can influence the decision of finding a good contractor. Once you narrow down your choices for a contractor, approach him with your remodel ideas and budget. Not all contractors are the same when it comes to remodeling. If you are on a budget you may want to consider hiring individual companies to do the tasks required instead of a general contractor. Companies such as Total Koatings can complete the porcelain and tile refinishing while another reliable company refinishes the cabinets. No matter what you decide to change be sure that the company you hire uses quality products and offers a guarantee.